She will make a cool dip look sophisticated in the Dolce & Gabbana Kids™ Flowers Mix Swimsuit One-Piece. Shoulder straps with knot ties at the shoulders. Materials: 73% polyamide, 27% elastane. Lining: 86% polyamide, 14% elastane. Product measurements were taken using size 6 (Little Kids). Please note that measurements may vary by size. 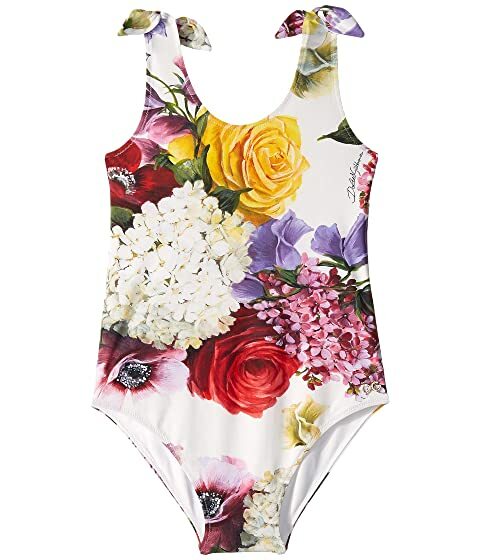 We can't currently find any similar items for the Flowers Mix Swimsuit One-Piece (Little Kids) by Dolce & Gabbana Kids. Sorry!